Do you really need 90 different job search apps for your iPhone? But this resource aims to be the one-stop shop where you can pick and choose the ones that will you help get the best results asap. The list was compiled by taking the relevant apps that rank highest in iTunes (such as in the Business category) or because they have high ratings and many reviews. The apps are categorized for easy browsing and each app includes its official description. For starters, read through the list and try an app from each category, except perhaps the Students or Employers / Recruiters categories (unless that's you). 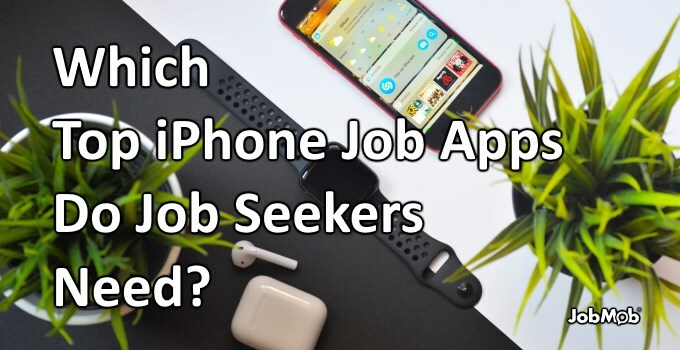 Do you already have a favorite iPhone app for job search? Tell us in the comments. PathSource Résumé – The secret to landing a job interview is to make an outstanding first impression with your resume. Leap out of the applicant pile with the most beautifully designed CVs on the App Store. Create the perfect resume for FREE even with zero design skills. Alternatively, you can pay a small additional fee and get access to our complete job search solution. Resume Star: Pro CV Maker and Resume Designer with PDF Output to Help You Score that Job Interview and Advance your Career – Writing an effective resume doesn't have to be hard. A precision targeted and professionally typeset resume is the key to scoring an interview. Simply fill in your information, and Resume Star produces a clean, correctly formatted PDF resume you can email directly, post online, or print out. Resume Builder by Nobody – Resume Builder by Nobody allows you to write your resume without the need to format or design it. It enables you to focus on what matters most: the content. Resume Star 2: Pro CV Designer – BUILD A PROFESSIONAL RESUME IN MINUTES. Writing an effective resume doesn't have to be hard. A precision targeted and professionally typeset resume is the key to scoring an interview. Simply fill in your information, and Resume Star produces a clean, correctly formatted PDF resume you can email directly, post online, or print out. Resume Builder – CV Designer – √ “This app will get your resume noticed!” – AppPicker.com – Best Resume apps. Quick Resume – Resumes Builder and Designer – Quick Resume is a simple and effective tool to help you create professional resumes in minutes. All you need to do is entering your information, Quick Resume will make you basic straight forward resumes. Just take your iPad, sending or printing resumes can be done any place and any time. Resume Builder : Resume Maker – Resume Builder uses professional field-tested resume templates that follow the exact ‘resume rules’ employers look for. Simply enter the information and Resume Builder creates the perfect CV for you with the selected template. Then you can email, save or print your well-designed resume with a press of a button. Easy to use & done within minutes. Resume Builder – Go2Job Resume – Go2Job is all you need to create your Resume easily. Resume Designer 3 – Build the best resume with Resume Designer. Print, email or upload a professional PDF resume and cover letter in minutes. Smart job hunters have described Resume Designer as “Really easy to use”, and “Simple. Effective. Gets the job done!”. Easy Resume Builder : CV Maker – Now you can keep your resume always with you so if anyone asks for your resume you can provide him the resume instantly without any delay by preparing it using the app or you already have the prepared resume then by sharing it from the application. Build your professional formatted resume using the application. The resume is prepared just by adding the appropriate information in the fields. App provide the users to make the multiple profiles to prepare resume and to generate the resume in the PDF format with paging. Easy to use and learn with the beautiful and simple user interface. HireVue for Candidates – Take your OnDemand video interview any time from anywhere that has an internet connection. Video interviewing allows you to show your prospective employer your unique talents, passions and abilities so you can truly stand out. RIVS Apply – The interview process has never been this easy. Take Written, Voice, and Video interviews. Receive push notifications with updates to your application. Communicate directly with the Company through private messages. Accept or Reschedule any phone or in person interviews. Be reminded of upcoming interviews. StoryCorps – Founded in 2003, the nonprofit organization StoryCorps, based in Brooklyn, New York gives people the chance to record conversations about their lives, to pass wisdom from one generation to the next, and to leave a legacy for the future.Recording an interview couldn’t be easier: You invite a loved one, or anyone else you choose, to make time for a conversation. The StoryCorps app explains the interview process, offers tips on how to find a quiet recording space, and provides questions and prompts to carry you through the conversation. Press “record,” and share in a conversation you’ll never forget. With one tap, your recording will be uploaded to the American Folklife Center at the United States Library of Congress. Interviews recorded using the app can be shared with family, friends, and others online. Leetcode Client – Leetcode Client brings hundreds of technical interview questions frequently asked by those famous tech companies to your pocket. You can view the top solutions for each problems. Hirewire – Job Search – Hirewire is a location based app that allows service industry job seekers and employers to schedule in-person interviews on-demand. Interview Buzz LITE – Interview Buzz LITE is a free app containing 50+ interview questions with answers and 80 commonly asked practice questions. Interview Assistant – You need to conduct an interview and your iPad is all you have? Interview Assistant is the right solution for you. Job Interview Prep – SimuGator – You've gone to school, prepared your resume, and tracked down a job. But you haven't practiced the one thing that gets you hired—the job interview. Because you never get a second chance to make a first impression, preparing for your job interview is absolutely critical. InterviewStream Thrive – InterviewStream Thrive is the premier digital interviewing app to help you tell your story to employers. Using InterviewStream Thrive and your iPhone or iPad's microphone and camera, you can record responses to pre-recorded, multi-media interview questions anytime, anywhere. Indeed Job Search – Find jobs using Indeed, the most comprehensive search engine for jobs. In a single search, Indeed offers free access to millions of jobs from thousands of company websites and job boards.From search to apply, Indeed’s Job Search app helps you through the entire process of finding a new job. ZipRecruiter Job Search – Search 100+ job boards at once to find your next job fast. It's that easy. ZipRecruiter Job Search is the only app of its kind you will ever need, and it is 100% FREE. Monster Job Search – Instantly search through millions of new jobs. Simply apply by swiping right! Monster Job Search is 100% free & the highest rated job app! CareerBuilder Job Search – Your job hunt just got easier with CareerBuilder’s Job Search app: Search and apply for the most up-to-date job postings. Use augmented reality to literally see job postings all around you. All at your fingertips. Care.com Caregiver: Find Jobs -Finding the right care jobs depends on making the right connections. At Care.com, you’ll gain access to our large network of child care, senior care, pet care, housekeeping, or tutoring jobs, right in your local area. Caregivers, showcase your skills and experience to stand out and find the job that is right for you. Dice Tech Jobs – The Dice Careers App: Find your next job in fintech, greentech, edtech, adtech, any tech …. fast, in your free time! From finding new jobs to knowing how much you should be making, Dice app does it all. With Siri Shortcuts, search quickly on the go with your favorite Hey Siri phrase! Bayt.com Job Search – Over 28 million people trust Bayt to help them find a job and improve their career. The new Bayt mobile app is here! New features, new design, and new capabilities created to improve your job hunt. CV-Library Job Search – Find a job with CV-Library! Search and apply to over 180,000 jobs with our free, award-winning Job Search app. For iPhone & iPad, the app is full of features so you can find a job quickly and easily. JobStack | Worker – The JobStack Worker Mobile App – powered by PeopleReady – gives you the ability to see jobs in your area that match your skills. You can take a job with a simple swipe or tap. After you've taken a job, you will receive information on where to go, what to bring and what to expect once you arrive. Rate your workday and confirm hours. iScanner: PDF Document Scanner – iScanner is a handy scanner app that will turn your iPhone or iPad into powerful mobile scanner. Easily scan, save and share any document in PDF or JPEG format. Our scanner app will become the indispensable tool in your day to day life. Scan anything you need including receipts, documents, paper notes, fax papers, book and store your scans as multipage PDF or JPEG files. CamCard -Business Card Scanner – CamCard is the easiest app to manage and exchange business cards, the perfect fit for sales people, entrepreneurs, business developers or marketing experts, and anyone who want to be one. LinkedIn: Network & Job Search – Use LinkedIn to navigate your career with confidence–whether you want to find a new job, keep in touch with your network, or stay up-to-date on the latest from your connections and your industry. Workplace by Facebook – Workplace is ad-free and totally separate from Facebook. So you and your team can concentrate on aligning your goals, building successful working relationships and turning your company into a community. Buffer: Social Media Manager – Save time and manage all your social media in one place. Buffer is a simpler way to schedule posts and track the performance of your content on Facebook, Instagram, Twitter, Pinterest and LinkedIn. Meetup – Meetup brings people together in thousands of cities to do more of what they want to do in life. It is organized around one simple idea: when we get together and do the things that matter to us, we’re at our best. And that’s what Meetup does. It brings people together to do, explore, teach and learn. For example, people run marathons, thanks to running Meetups. They write, thanks to writing Meetups. They change their careers, thanks to career Meetups. Because at Meetups, people welcome each other. They talk, help, mentor, and support each other – all in pursuit of achieving their life goals. Whova – Event & Conference App – Whova is an award-winning event and conference app. It helps you gain insights about people you meet at events. Whova is one of the most widely used mobile apps by professionals for networking at conferences, trade shows, expos, summits, conventions, business meetings, corporate events, association events, and community gatherings. Whova, the Mobile Event App, has received the Event Technology Awards in 2016, 2017, and 2018, for three years in a row. Shapr – Business Networking – This app selects for you, each day, people to connect with. Whether you’re seeking friends, recruiters, mentors or employees, each swipe is a new opportunity and a new discovery. This app is ideal for entrepreneurs seeking cofounders and ideas, professionals exploring career changes or job opportunities, building contacts within their industry, people new to a city seeking friends, and anyone who wants to break up their day by chatting with like-minded and inspiring people! ScanBizCards – Works with Evernote, Salesforce and other CRMs. Scan cards in seconds or submit tricky cards for 100% accurate human transcription! Wisdo – Wisdo is a guide for life, where you can find and connect to people who have been there. Share your unique journey, discover people who have walked your path and find out what you’re missing about the things that matter to you. From body positivity to anxiety or motherhood, with Wisdo you are never alone. And the road ahead is always clearer. Yammer – Yammer is the enterprise social network that helps you and your team collaborate openly and stay on top of it all. With Yammer, you can connect to the right people in your organization, share and search for information across teams and organize around projects and ideas so you can do more. Fishbowl: Professional Network -Fishbowl is a social network for professionals that helps you connect and have relevant conversations with others across your industry and company. Join different “bowls” (professional groups) with others from the same professional background as yourself to get real advice, share work stories, and network. Blind – Anonymous Work Talk – Join Blind's anonymous community of employees from over 70,000 companies, and thousands of startups. Connect with your coworkers in private ‘company channels', engage in industry-specific discussions in ‘lounges', or browse ‘Topics' to mingle with employees from a variety of industries, including but not limited to tech, finance, e-commerce, etc. Fiverr – Freelance Services – Business owner working around the clock? Rushing to complete a project? Entrepreneur on-the-go? Say hello to Fiverr – the largest marketplace for digital services. Get instant access to a global network of quality freelancers and find everything you need to start or grow your business. As the world’s most affordable and easiest to use digital marketplace, Fiverr enables freelancers and entrepreneurs to start doing, growing and succeeding. Geography, time, and budget are no longer barriers. Takl – Home Services On Demand – Find fast help for house cleaning, delivery, moving, furniture assembly, junk removal, handyman chores plus Build Your Own Job and Hourly Help. Upwork – Get more done with the freedom to connect on the go and keep Upwork projects moving. Be more productive when you want, where you want. Field Agent – Field Agent pays you for successfully completing small jobs as you’re doing what you’re already doing—shopping in stores, running errands, or maybe just hanging around your home. Wonolo – Wonolo connects you with immediate hourly or daily jobs from the world’s biggest and best brands, allowing you to work where you want, when you want, for whomever you want. Thumbtack for Professionals – Thumbtack finds you the jobs you need to build a business on your own terms. Create a free business profile, then tell us what you do, when you work and where you travel. We'll send you job opportunities that match what you're looking for. You only pay when you get a new lead. Gigwalk – Whether you're looking for a little spending money or want to earn an extra paycheck, Gigwalk can help. Work when and where you want to – you can even start making money today! You can pick Gigs that take anywhere from 5 minutes to a few hours and everything's done through the Gigwalk app. No timesheets to fill out. No emails to send. Your mobile phone and the app are all you need. methinks – money for thoughts – methinks connects you to businesses that pay for your feedback and opinions on a wide variety of topics. Talk to businesses on your free time, from the comfort of your home or anywhere else. All you need is your iPhone! Instawork Jobs & Gigs – From Michelin-star restaurants to local cafes, you can easily find and apply to hourly gigs or permanent work with the Instawork app. *Currently operating in the San Francisco Bay Area and Los Angeles. Steady-Find Work. Earn Money. – Steady is here to help you look after your financial health – from matching you with job opportunities to make extra money, to providing you an income tracker to monitor your earnings, to ensuring you have the benefits you need while you work. Freelancer – Hire & Find Jobs – At Freelancer we turn ideas into reality. We are the world’s largest freelancing and crowdsourcing marketplace that connects employers and freelancers. Hire the best talent, or find work from anywhere in the world. Let’s get it done. Coursera: Top online courses – Learn on the go with Coursera for iOS. Access free and paid courses, Specializations, and degrees developed by experts from Stanford, Penn, Google, Autodesk, and 150+ others. LinkedIn Learning – Advance your career with LinkedIn Learning. Discover the most in-demand business, tech and creative skills with personalized recommendations and courses taught by industry experts. Learn on the go with the LinkedIn Learning iOS app. Udemy – Online Courses – Udemy is an online learning platform featuring 80,000+ video courses taught by expert instructors. Take courses in anything from programming languages like Python, and Java to personal development classes like design, drawing, writing and yoga. Join the more than 24 million students who are mastering new skills, advancing their careers, and exploring new hobbies on Udemy. MasterClass: Learn New Skills – ACCESS GENIUS ANYWHERE. Build learning into your life, every day, with video lessons, workbooks, and more. Use strategies, secrets, tips and recipes from our courses to elevate your craft. Shaw Academy – Join over 4 million graduates and learn new skills today with the largest online educator on the planet. Shaw Academy's focus is on education because it is interactive, engaging, always evolving and most importantly, better for learning. We deliver great courses, affordably and accessibly, to everyone so join us today to advance your career or take up a new hobby. Skillshare – Online Learning – Join our community of 7 million lifelong learners, and unlock the styles and strategies today’s creators need to know. Explore more than 25,000 online classes in exciting creative areas like drawing, watercolor, calligraphy, photography, graphic design, illustration, hand lettering, icon design, pattern design, and more. Learn to use popular creative tools, such as Procreate, Illustrator, and Photoshop. And, you can level up your career with classes in social media marketing, productivity, and more. edX: Learn with Online Courses – EdX brings you the best online courses from the world’s top universities and institutions to your mobile device, so you can learn new skills anytime, anywhere. Learn and master the most in-demand skills to advance your career with online courses in the fastest-growing fields including: computer science, data science, engineering, business management, marketing, finance, accounting, math, design, and more. Teachable Online Courses – Take your online course with you and learn on the go with Teachable’s iOS app — an offline reader. Whether you’re looking to master a skill or pick up a new hobby, join over 7 million students who are already learning through Teachable-powered schools. Skillsoft Learning App – Improve yourself in minutes a day, anytime, anywhere. Access content across a variety of topics including business, personal development, desktop software and IT. Stay current with courses, videos, books, and audio books from world-class experts. Keep yourself on the leading edge to improve your performance on the job and throughout your career. 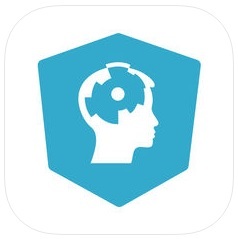 DataCamp: Learn R, Python, SQL – Learn Data Science on the go! DataCamp Mobile offers bite-sized lessons you can complete in 5 minutes or less. Expand your data science knowledge with new courses by the best instructors, or sharpen your skills in Practice Mode with instant personalized feedback. Learn Data Science by doing, even on the go! Simplilearn – Simplilearn is where you will find high quality online courses and free learning resources such as articles, webinars, ebooks and more — all catered to your career needs. Microsoft Word – The trusted Word app lets you create, edit, view, and share your files with others quickly and easily. It also lets you view and edit Office docs attached to emails. With Word, your Office moves with you. Whether you are a blogger, writer, journalist, columnist, student, or a project manager working on documentation, it’s as handy as you want it to be. Browser and Documents Manager – Download and browse files and documents on your iPhone, iPod or iPad like on your computer. No limits on storage or downloads! Offline Files & Web Browser – Meet your new favourite file manager and browser. No limits on storage or downloads! Scanner for Me + OCR – Featured in Best of 2016 Top Paid collection on the App Store in the UK, Germany, Italy, Spain and many more countries! Scan, print and manage documents with your iOS device! Scanner PDF – Scan Documents – PDF Scanner App is a powerful scanner that fits in your pocket! Discover a universal tool to scan any paper document and save it’s digital version in a wink. Scan, sign, affix and share multipage documents in high quality PDFs or JPEGs easier than ever. Scan to PDF+OCR – Fine Scanner – FineScanner turns your mobile device into a powerful all-purpose mobile scanner to quickly capture docs and books, creating electronic copies in PDF and JPG, and apply online OCR to recognize texts from scans for further editing and sharing. ZOOM Cloud Meetings – Stay connected wherever you go – start or join a meeting with flawless video, crystal clear audio, instant screen sharing, and cross-platform instant messaging – for free! Handshake Jobs & Careers – Handshake is the college-to-career network for more than 14M students and young alumni at 700 universities nationwide. Discover and apply to jobs and internships from over 300K employers, with representation from 100% of the Fortune 500, including top financial institutions, cutting edge tech companies, leading design and marketing agencies, and nonprofits saving the world. Job recommendations are curated based on your interests, skills, major, location preferences, and search history. Discover and attend Events and Career fairs. Receive job alerts by app notification, text message, phone call, desktop alert, and/or email the minute a job becomes available! SubAlert is approved by Frontline Education™ for use with their Absence Management feature. BlueCrew – Find Work Tomorrow – BlueCrew connects you directly with employers that fit your schedule and experience, so you can add to your resume while you make money. Build your experience and your reputation on BlueCrew and gain access to higher pay and more job opportunities. Glassdoor Job Search – Find a job you love and get hired using Glassdoor job search. Access the latest job listings from companies hiring right now, and get an inside look at company reviews, salaries, benefits, and office photos shared by those who know the company best – the employees. Tap into the world’s most comprehensive career community to search job openings, discover your earning potential and see what it’s really like to work at thousands of companies worldwide. LinkedIn Job Search – LinkedIn Job Search gives you all the tools you need to easily find your dream job – or let it find you. Quickly find job opportunities wherever you want with location-based search. Get automatic recommendations and notifications based on your job searches. Apply to jobs with your LinkedIn profile with just a couple taps. And do it all in total privacy, knowing your LinkedIn network won't be notified. JobFlare for Job Search – Show off your brain power and stand out to employers by playing six rapid-fire brain games designed to measure the key qualities employers look for. Your scores signal your raw potential to great companies looking to hire smart candidates. PathSource Career, Job, School & College Search – Featured by Apple as a “Best New App” and as an “Amazing App!” “This app may be the best career management tool yet.” – USA Today. The vast majority of the content in the app is FREE. Good&Co: Culture Fit Jobs – What do you want from life? What kind of career are you searching for? Good&Co’s unique 18-question personality test will help you discover your strengths and introduce you to companies looking for job seekers with your unique traits. Indeed Job Spotter – Indeed Job Spotter is an awesome way to explore your community and earn redeemable points, all in the name of helping local businesses. If you spot a hiring sign, take a picture of it and the storefront, and submit it to Indeed Job Spotter. Submit enough photos to earn the most points, and we’ll give you a gift card in exchange. eFinancialCareers: Jobs & News – Manage your career with the world’s leading financial services career website, eFinancialCareers. Whether you are actively looking for a job or managing your career, our app has everything you need: access to thousands of top employers, over 10,000 jobs across the globe, industry news, and career advice. Careerology101 – We have built this application to provide jobseekers, fresh graduates, and even experienced knowledge workers with insider information and tips on how to best launch (or re-launch) their careers. You can take quizzes, watch exclusive videos and learn about efficient best practices regarding job hunting and career launch techniques. All explanations are given to you from the employers' side and you can thus learn how employers really select the best candidates. Real Talk – Real career advice, from real people – Picking a career isn’t easy. It requires making tough choices, opening some doors and closing others. Post-secondary education is no longer a safe bet, nor is it the only bet you can make after high school. Quickly conduct administrative tasks – view or request time off, capture expenses, clock in and clock out to enter time worked, or review your payslip – without disrupting your day. View your notifications and tasks that require your attention and immediately take action. Easily browse the company directory, securely view worker profiles, and leave feedback while it’s still top of mind. View your team or individual profiles and immediately take actions relevant to your role, such as perform a job change, make a compensation change, or provide performance feedback. Stay connected to your business by gaining quick insight into what’s important through interactive reports and dashboards. HotSchedules – HotSchedules is the industry's leading employee scheduling app because it’s the fastest and easiest way to manage your schedule and communicate with your team. When I Work Staff Scheduling – When I Work is the easiest way to create an employee schedule, handle employee time tracking, and communicate with your staff— all from the app or desktop. Homebase Employee Scheduling – Homebase is the easiest way to manage your work schedule. Check your schedule & communicate with your team while you're on the go. Of the best job search apps for iPhone, which is your favorite? Tell us in the comments. Subscribe to JobMob via email and follow me on Twitter for top resources for job searching with your smartphone. Wow Jacob – way to go! Any plans for an Android list,too? Thanks for sharing this list! Can I add another popular Job Search Advice iPhone app to your list (200+ downloads each month)? It’s Career & Coaching Tip, http://itunes.apple.com/nl/app/career-coaching-tip/id386842210?mt=8, and contains the latest news, tips and advice from Career Coaches and Recruiters around the world, aimed at English, Dutch and German job seekers. It contains many references to online career sources. You can also find it in the Android and WP7 Stores. Wow ! That’s a big job, thank you very much for this information! I hope you don’t mind if I add to your list a new French application called “Rue de l’Emploi”. This application is at the same time a job search tools, a job opening application and for employers. Indeed, it allows candidates to fill their C.V, consult job offers, be alerted as soon as a new post matches their criteria, receive offers from recruiters and apply directly from their phone! And the recruiter can also leave his offers within the application, consult C.V, be alerted as soon as a new candidate matches his demand, receive and manage candidate’s applications and send offers. I can give you information if you want. I just received an email from Linkedin, and couldn’t directly respond to it. Here is my repsonse! I love all the work you’ve done on your website, and started retweeting your articles on Twitter! Thanks for giving me the buzz about this aggregated list of interesting apps and asking to add some more daily use apps into the collection. So here you go..
Why not manage altogether? Get connected with all your social networks on the go: Facebook, Twitter, LinkedIn, and Foursquare. Another chat client with extra ordinary list of other features such as Neighbors geo-social network, group chats, message history, multimedia messages and much more. A chat client which allows you connect with chat networks such as facebook, gmail, buddy, msn messenger, yahoo messenger, Skype, and many other. Foursquare is nice app for finding local deals and keep up with friends, discover what’s nearby. Augmented Reality best tool for finding the local resources like restaurants, banks, gas stations and many more other items. Find local deals, events, offers, latest news in the London. It’s another app which allows you to find “what’s on” near you today? With this app you can capture and report news you witness at the scene of an event in real-time. A really very handy app for managing any kind of document files on the go such as doc, pdf, excel, powerpoint and many others. It also allows to save local and remote storage for these connected file managers: Box, Google® Docs, Dropbox, Evernote, Catch, Egnyte, Huddle™, SugarSync and MobileMe™. I hope you find this collection useful and thumbs up for spreading the word. thank you for this complete list. I’m glad to see giga-cv being part of it. Users like this app because it offers lots of different styles for their resume layout, the cover letters can be managed, psychometric tests are also included, and lots of other features. I want to give job seekers a all-in-one app so they can focus on their job search; I know it’s a tough task. Thanks for mentioning my humble apps – My Jobs and My Jobs Pro. Posts like yours do motivate me to continue my work. I currently use Jobsite IPhone app. I think they have an android one too…. Zak- thanks for the tip. We’re going to include it in the next update of this list, and add the Android version in our upcoming article of job apps for that OS. and professional looking resumes and CVs in a matter of a few minutes. – Import your info from LinkedIn to quickly generate your resume. – Beautifully formatted resume templates all come in multiple colour themes. – Export your resumes & cover letters in PDF format. – Share your resumes via Email, AirDrop or send to your Dropbox account. – Easily add, edit or re-arrange unlimited resume sections. – Easily duplicate resumes and cover letters to adjust for multiple employers. In addition to the GREAT apps listed above, you can also check out the free job-search and career services app from Gilbert Resumes / Executive Resume Writer. It includes links to valuable internet resources and tips for enhancing your correspondence. The iPhone/iPad app is available at (https://itunes.apple.com/us/app/executive-resume-pro/id858953110?mt=8). In addition, for a nominal fee, you can have your job-search documents uploaded to a private folder within the app, where you can access them 24 x 7, from anywhere in the world. Hi Jacob, I wanted to reach out to you and send a little bit of info about Good.Co, a free app we created to empower millennials – and new grads in particular – to find career happiness through self-discovery and make better, more informed career decisions. We’re often called “the eHarmony of jobs”, but I personally think using Good.Co is like having a professional career coach who also happens to be your lifelong best friend and knows you better than you know yourself. Wow. That is one extensive list. Thanks for including http://www.Apploi.com. Happy to see our app Careerology101 listed here! Use this app to get some exclusive tips from the employer’s perspective on how to Get Employers to Fight for YOU! Also, you can build your Professional Radar Map (TM) and find out what job you’re genuinely cut for.